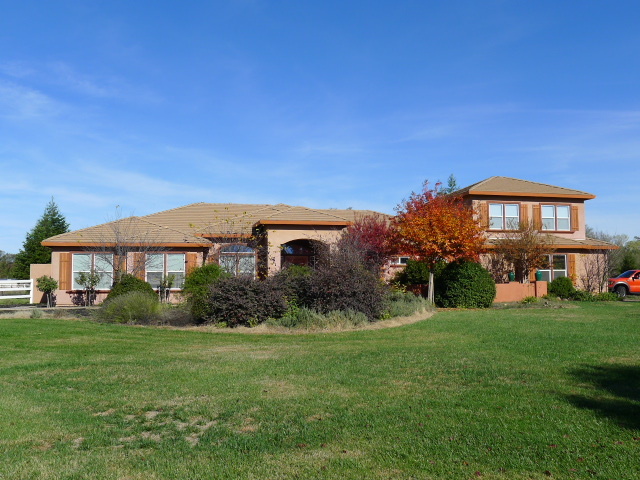 Beautiful Vineyard Estate in the heart of Loomis. This soothing home offers primarily single story living surrounded by a tapestry of award winning Sonoma Valley Varietals and Vines. The Chefs kitchen, Master suite, workout room and Grand Living room overlook a backyard resort boasting Azure pool with Waterfall , Koi Pond, Outdoor kitchen cabana, Children's pool, Sweeping grass play area, Chefs garden, and courtyard. This extraordinary anthology of fine living will go quicklyDon't miss it..